So much yarn, so little time. 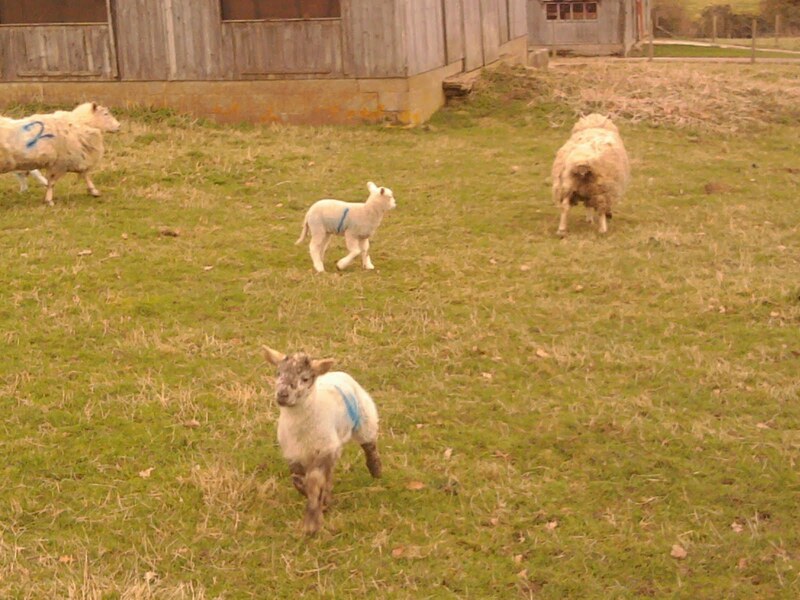 : Spring lambs! 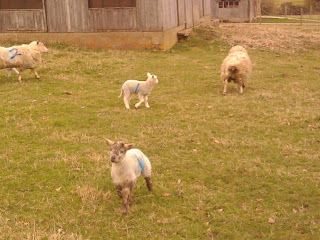 Walking through local fields on a footpath yesterday we spotted the first spring lambs out at pasture with their mums. 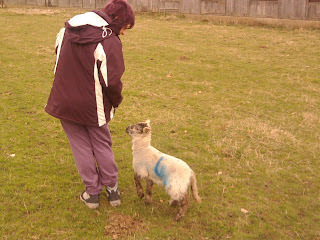 "What a shame they're so far away" I said...but one lamb wanted to make friends! you must have looked edible!! Awwww, so cute! 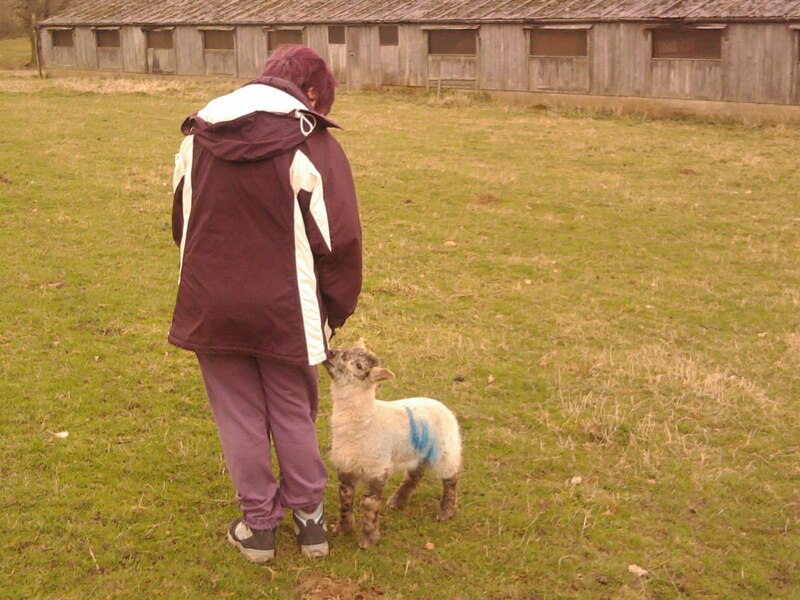 I don't think I've ever seen in person a lamb before. Being outside of an Urban area you don't see many farm animals. Goats, cows and horses at the petting zoo yes, but don't remember a lamb. Adorable! 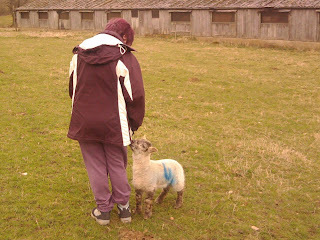 LOL I can't imagine never having seen a lamb! 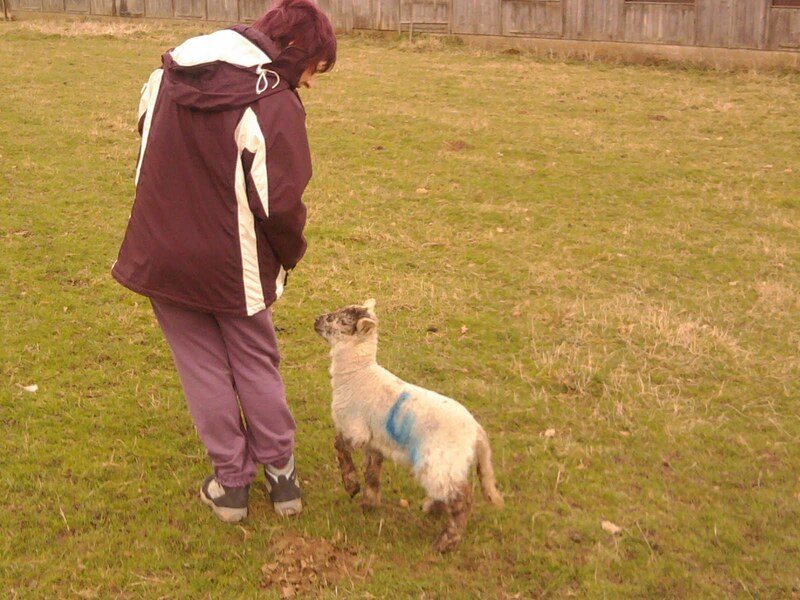 We're in prime sheep rearing country here. Happy Easter - my just-in-time gift to you! Will I ever take my own advice? Superbowl adverts - which was your favourite? Stand by to feel hungry!